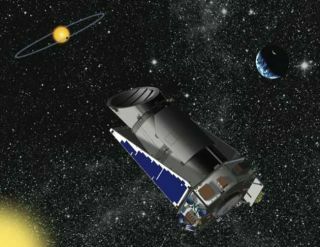 NASA's Kepler spacecraft has begun its search for other Earth-like worlds, NASA announced today. Kepler is designed to find planets as small as Earth that orbit sun-like stars at distances where temperatures are right for possible lakes and oceans. Scientists and engineers have spent the last two months checking out and calibrating Kepler. Kepler will hunt for planets by looking for periodic dips in the brightness of stars -- events that occur when orbiting planets cross in front of their stars and partially block the light.